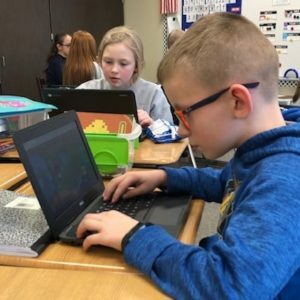 Project based learning is an instructional classroom approach in which students actively “learn by doing” instead of the classic “test and see what you know” approach. Teachers act as a facilitator instead of the director of their students’ learning. Step #1: Students start with a real-world, open-ended question. Example: Why are flotation devices important and how can they save lives? Step #2: Using the curriculum, students and their teacher will select resources and activities that will support their research to their question. 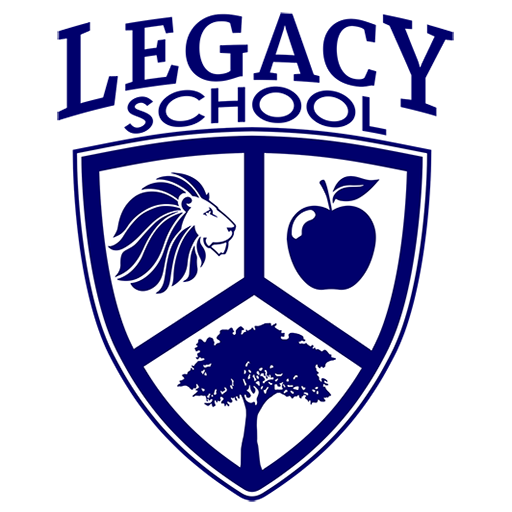 The teacher will then set a timeline for the completion of the project with benchmark points throughout the project. Step #3: The teacher and students assess the outcome of their project. Step #4: Finally, students evaluate their experience. They discuss what worked well and what needs fine tuning. Then, they share ideas for the next real world, open-ended question that will lead into the next project. 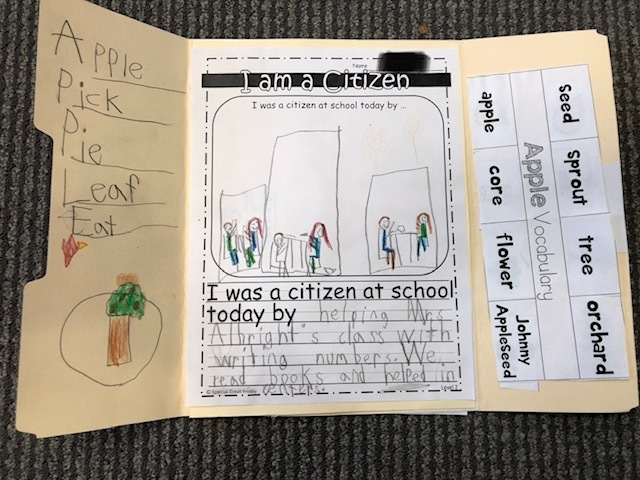 Step 2: While reading and researching how to be good citizens, students incorporated curriculum standards and included science, vocabulary, and sentence structure in their PBL learning. Students also went out “into the community” and helped Mrs. Albright’s Pre-Kindergarten class read their books and helped them with their numbers. Step 3: The students presented their projects to the class. The teacher then gave constructive feedback, which will help the students prepare for their next PBL project. 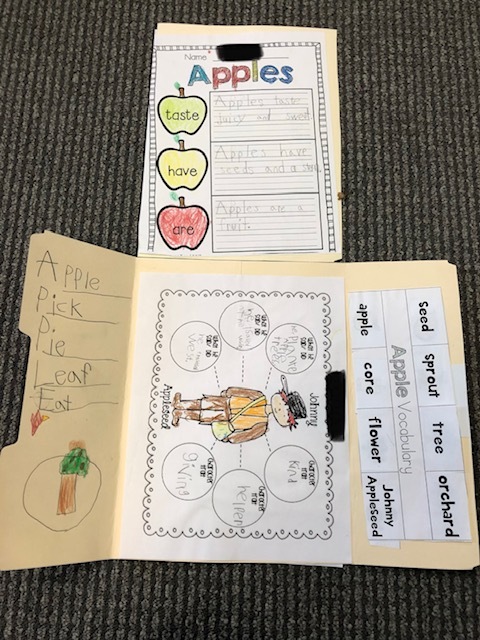 Step 4: The students and teacher then talked about what went well with their Johnny Appleseed projects and what they could have done differently. They then brainstormed ideas for the next project.